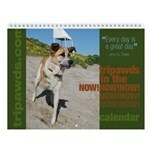 Win a free Tripawds weekly planner, just by sharing photos of your Tripawd’s exercise games and fitness regimen! From now until this Sunday, January 27, 2013 at 6pm Pacific Time, share photos of your three-legged dog or cat doing some type of exercise activity and you’re automatically entered in this fun giveaway. The more times you post a photo, the greater chance you have of winning! From gentle proprioception games like walking on couch cushions, to exercise sessions on equipment like the FitPaws Balance Disc, share your photos to show us how your Tripawd is getting strong and staying lean. in the Tripawds Discussion Forums. 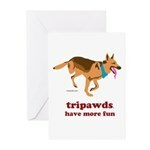 Post your photos on the Tripawds Facebook Page. Remember, the deadline is Sunday, January 27, 2013 at 6pm Pacific Time. Multiple entries are OK. One winner will be drawn at random. 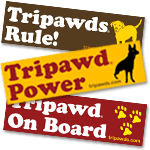 Disclaimer: By entering this contest, you grant Tripawds permission to reprint your photograph online or in print with no restrictions on use. Thanks! And the winner, out of 38 different photos submitted here and on Faceboook, is . . . . 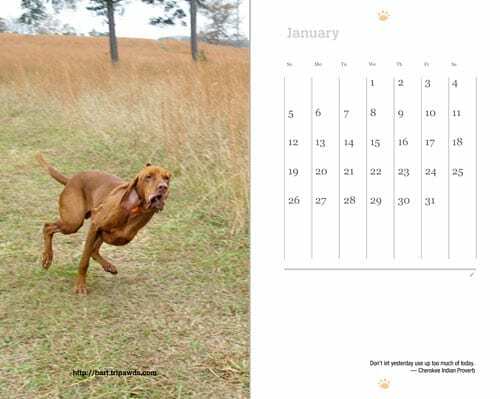 In a totally random list maker, this photo of Sunny won his people a free 2013 Tripawds Planner! Thank you EVERPAWDY for entering your best photos. These are all so inspawrational . . . you’re all winners in our book!